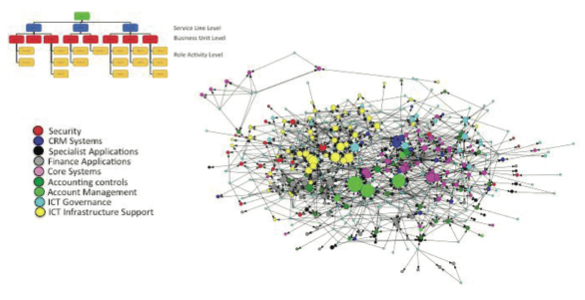 rk diagram shown in figure 4 identifies the connections between roles by directional arrows. If role A is pointing to role B it means that someone in role A has nominated someone in role B as a “critical” connection for him/her. From a supply and demand point of view we could interpret this context as role A as demander and role B as supplier. In this sense, the roles that have many recurrences (called “in-degrees”) are high in demand. The following table shows which of the 44 business units were most in demand by the observed network. er to curb them. 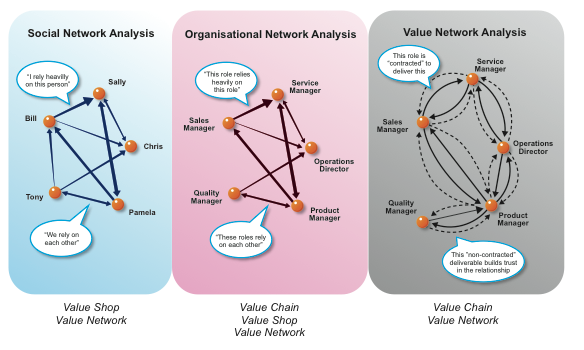 Alternatively, it provides a valid starting point that can be crossed with other analyses already experimented with, such as Value Network Analysis and Business Process Mapping. I wonder how much effort you put to make this sort of magnificent informative site.